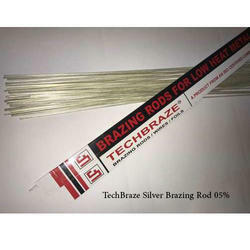 Leading Manufacturer of techbraze silver brazing rod 56%, techbraze silver brazing rod 50n, silver brazing rod, tech braze silver brazing rod 02%, tech braze silver brazing rods and techbraze silver brazing rod 05% from Vasai. 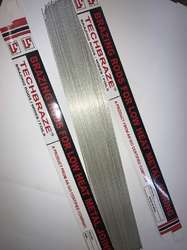 Techbraze AG56 is a high silver cadmium free alloy with easy flow. It exhibits the lowest brazing temperature, best wetting and best flow of all cadmium-free alloys. Techbraze AG56 is suitable for use to join ferrous, non ferrous and dissimilar metals and alloys with close joint clearances, such as steel, copper, copper alloys, nickel, nickel alloys. It has applications in automotive, electric, air conditioning and refrigeration industries. Sizes can be made to order as per customer specification for bulk orders. Techbraze AG50N is a Nickel containing alloy with particularly good wetting properties on steel and hard metals. It makes a joint of high tensile strength. Techbraze AG50N is suitable for applications in diamond and carbide tip industries. We have carved a trustworthy place in the industry by offering a qualitative assortment of Silver Brazing Rod. 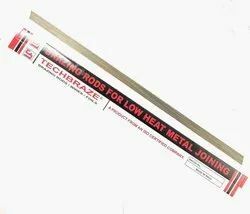 The offered brazing rods are available in several specifications so as to cater the different needs of patrons. These brazing rods are accurately manufactured by our deft professionals utilizing optimal quality materials and upgraded technology as per the global quality norms. 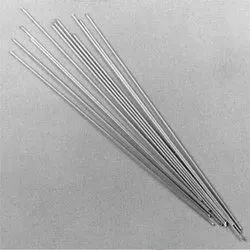 Our provided brazing rods are highly demanded among clients due to their perfect finish. It is free-flowing with narrow melting ranges. It's resistance to corrosion in chlorine, sulfur, and the steam environment. This has the lowest brazing temperature range of the filler metals. It also flows more freely into narrow clearance capillary joints and it is suitable for rapid or slow methods of heating. Techbraze AG2 is a copper-phosphorous alloy with very low silver content. This alloy has very good gap filling properties and is particularly suitable for the bridging of broad gaps. Techbraze AG2 is suitable for application in construction of pipes and apparatus, refrigeration etc. We are the prime Manufacturer of Tech Braze Silver Brazing Rods, which are made from Brazing Alloy, which is completely cadmium free. The Brazing Alloy is used for brazing silver product that is made up silver alloys. This alloy is particularly suitable for joining electrical components requiring high electrical conductivity and gives a close color match on silver. Used for brazing Silver product that is made up of silver alloys. This brazing filler metals are used especially for brazing in the electrical industry. They are also used in the dairy and food industries where the use of cadmium containing filler metals is prohibited. Techbraze AG5 is a copper-phosphorous alloy with very low silver content. This alloy has very good flowing characteristics and high ductility. Techbraze AG5 is suitable for brazing of copper for construction of apparatus, electric motors and copper pipes, heat exchangers, refrigeration etc. Techbraze AG15 is a copper-phosphorous alloy with high silver content. This alloy has excellent flowing characteristics with high ductility. 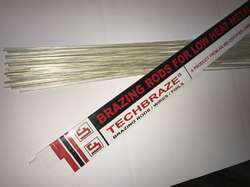 Techbraze AG15 is suitable for brazing of copper for construction of apparatus, electric motors and copper pipes, heat exchangers, refrigeration etc. Techbraze AG20 is a copper-phosphorous alloy with high silver content. This alloy has excellent flowing characteristics with high ductility. Techbraze AG20 is suitable for brazing of copper for construction of apparatus, electric motors and copper pipes, heat exchangers, refrigeration etc. 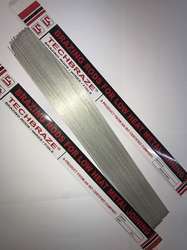 Techbraze AG25 is a easy flowing silver alloy. Due to the wide melting range suitable for the bridging of gaps. Special additions prevent the alloy from vaporising. Provides a smooth surface finish. Techbraze AG25 is suitable for applications in the automotive, electric, air conditioning and refrigeration industries. Techbraze AG30 is a easy flowing silver alloy with low working temperature comprising excellent flow and gap filling characteristics. Techbraze AG30 is suitable for applications in the automotive, electric, air conditioning and refrigeration industries. Techbraze AG35 is a easy flowing silver alloy with low working temperature comprising excellent flow and gap filling characteristics. Techbraze AG35 is suitable for applications in the automotive, electric, air conditioning and refrigeration industries. Techbraze AG40 is a easy flowing silver alloy with low working temperature comprising excellent flow and gap filling characteristics. Techbraze AG40 is suitable for applications in the automotive, electric, air conditioning and refrigeration industries. Techbraze Silver 43CD is a very low melting silver alloy with excellent flowing characteristics and excellent capillarity. 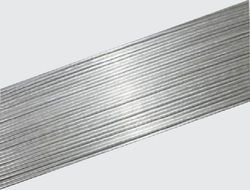 This product is available in bare rod, wire and foil form. 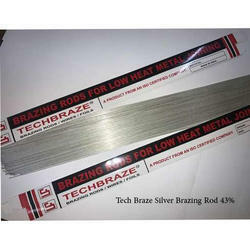 Techbraze Silver 43CD is a cadmium bearing alloy and hence is suitable for application in making strong, clean and smooth joints in carbon steels, low-alloy steels, tool steels, stainless steels, carbide tips, copper and its alloys, nickel and its alloys, and their dissimilar combinations. Construction of apparatus, precision jobs, novelty articles, kitchenware, hospital and hotel equipment, surgical instruments, repairs of delicate components, production of precision tools, pharmaceutical industry etc. We make made to order as per customer specification. 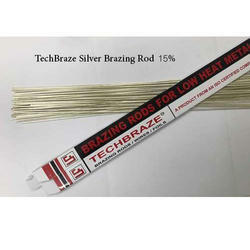 Looking for Techbraze Silver Brazing Rod ?